Cloud Architecture and Technology Blog: Graphics on Solaris. Back in the day, Solaris/SPARC used to be a dedicated platform for PLM, CAD/CAM/CAE and such with products like Catia made specific for the UNIX marketplace. Now it's mostly Windows and Mac... but you can still have some fun on Solaris doing 3D modeling, free. 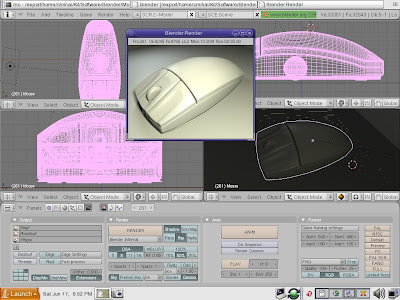 Blender is an OpenSource suite of tools for 3D modeling and creation. Not only that, but it also runs on Solaris.